If you haven’t gotten a chance to see the first three parts, you can check them out here, here, and here. Sound design has always fascinated me, ever since I learned how they created the iconic sound effects for The Empire Strikes Back when I was a kid. It’s amazing the number of totally innocuous things that can be used to create really incredible and immersive sound effects. This latest peek behind the curtain at Resident Evil 7 shows us exactly what went into trying to create a realistic horror sound, and it’s really cool to see the video of foley work being done. They also go into some detail on how the game’s visuals were created, and how they couldn’t “fudge” certain effects this time around because of the addition of VR. It’s actually really cool, and they discuss how much effort they put into designing every last detail of the game. They even talk about how amazing it was that people became so entranced by the Dummy Finger, despite it being a totally negligible item in the initial demo. The most interesting aspect of the video, however, is what Producer Jun Takeuchi has to say in regards to the future of the series. Plans for the next title are already in motion and, when you see that game, you may find that it is very different from Resident Evil 7 in some ways, while still retaining that core survival horror concept of people overcoming the odds. Resident Evil will always retain that essence. What exactly he means by “next game” is unclear – it’s possible he’s actually talking about Resident Evil 8, which very much seems to be being teased by RE7’s vague and eyebrow-raising finale. There’s also every chance he literally means the ‘next’ game in the release schedule, which, as far as we know, is Resident Evil 2 Remake. It could be Revelations 3. Who knows. Typically, 4-6 years have passed between the numbered releases of RE games, so it’s hard to say when exactly we’ll be seeing Resident Evil 8, but there will for sure be plenty of non-numbered games in between. Just in the time between RE6 and 7, there were two entirely new RE games, and a half dozen re-releases of older games. As for how it will be different, that’s also a mystery. Could they be dropping first person so soon after RE7? Or perhaps it will have a harder emphasis on monsters over infected humans. It’s fun to contemplate the possibilities. 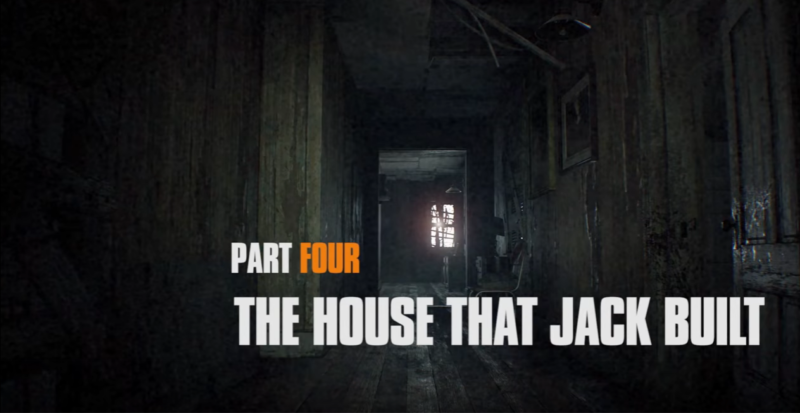 Of course, Resident Evil 7 itself still isn’t 100% done, as there’s still two more DLC packs on the way: the free Not A Hero story, which has a more action-heavy sensibility and sees us playing as the seemingly traitorous Chris Redfield, and a third pack that’s included in the Season Pass that we know very little about, although it’s said to be a very hard-core horror experience, and may have a P.T. alumni behind it. Neither have solid release dates yet, although Not A Hero is due out this Spring, and the third pack is due before the end of the year. We’ll keep you updated.